This is a tricky one to measure. I like to go off of the tallest habitable building. In some states there are tall radio towers that are the tallest structure (wyoming) or the Stratsophere in Las Vegas which is not officially a building and is classified as a tower. South Carolina is another tricky state. In Abbeville South Carolina there is a extra high voltage manufacturing plant that has a 373 ft tall tower some may list as the tallest building in the State. Since it is an uninhabitable tower I am not listing it as the tallest building in South Carolina. While I have not seen it in person the latest news I can find says this tower was destroyed in 2013. Standing 349 feet tall with 25 Stories, South Carolina’s tallest office building is the Capitol Center in Columbia South Carolina. The modernist skyscraper, with its alternating dark tinted window glass and white horizontal paneling, was constructed in 1987. Its site was previously home to the Wade Hampton Inn. 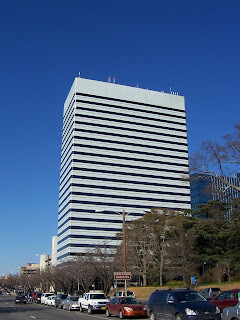 Funding for the tower’s construction was provided in part by the State of South Carolina. 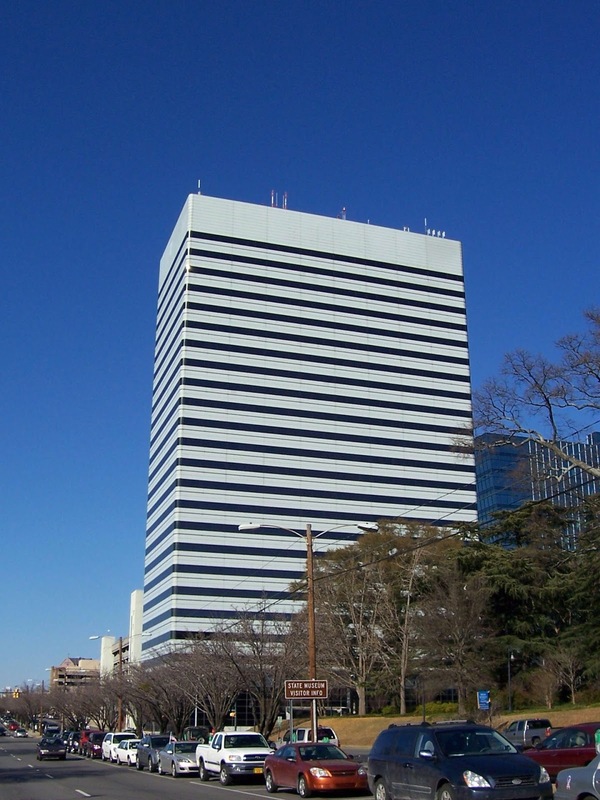 Office space in the Capitol Center is leased to the state government and local law firms. On February 11 2014 I ran the stairs of this building and you can read about it here. Click here for the tallest building in each of the 50 states.